Like the intimate, lyrical creation by Robert Schumann entitled “Arabesque”, or Debussy’s pensive masterpiece of the same name, the 160th Anniversary Limited Edition Arabesque by Dakota Jackson touches the soul with a pure beauty. 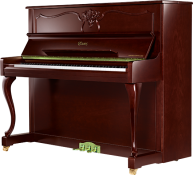 Conceived by Dakota Jackson for the 160th anniversary of Steinway & Sons, the instrument captivates with exquisite design accents, giving an impression of fluidity and movement. In ballet, an “arabesque” is a pose held suspended in time, with the limbs of the dancer impossibly extended. It conveys a sense of channeled energy, flowing freely through the tips of the fingers and toes, outward and upward into the ether. The wood selected for the Arabesque, macassar ebony from Indonesia, is the perfect material to underscore the warm strength of the design. 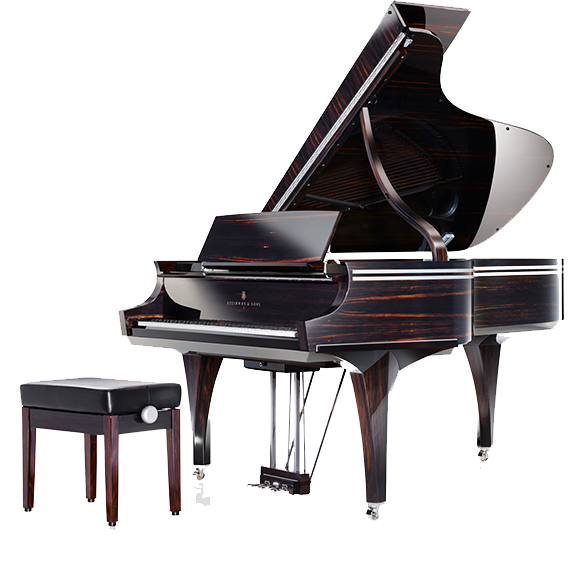 Chosen and shaped with skill by the Steinway master craftsmen, each piece of wood reveals an individual grain that makes every piano a true rarity. 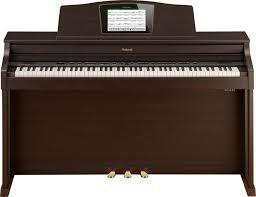 with its fascinating structure in deep black to dark brown, this lovely wood brings a special, breathtaking power to the instrument. The balance of grace and strength is extraordinary in the 160th Anniversary Limited Edition Arabesque by Dakota Jackson in macassar. The pleasing impression of lightness one senses with the Arabesque is achieved in part by the special shape and surface design of the rim. 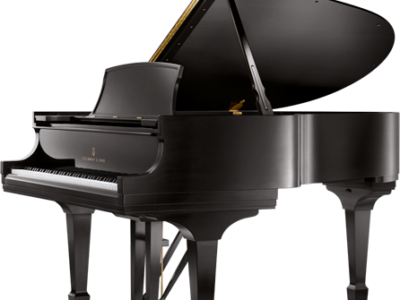 Contrary to its actual weight, the rim appears lifted and suspended in the air thanks to the artfully beveled lower edges, hand adjusted by the Steinway master craftsmen. heightening this impression of weightless ease are two silver bands running cleanly along the rim’s lacquered surface. The unique shape of the arms to the left and right of the keyboard likewise enhances this design. The rounded aesthetics of the Arabesque recall the gentle curves of a ballet dancer’s arms and the perfect harmony of shapes evident in every movement. The lid is curved in an exact echo of the sweeping arc created by the special shape of the arms. This visual harmony is repeated in the subtle contours of the lock rail, which parallel the curve at the front edge of the lid. With its rounded edges, the form laminated music rack continues the motif – and its concave surface both completes the design and serves a functional purpose. Dakota Jackson is an exceptional American designer and manufacturer of high-end furniture. For 25 years he has created innovative furniture with distinctive style, maintaining a commitment to uncompromising artistic and craftsmanship values in every piece. His mastery of design is evident in both a visual and a tactile sense, exhibiting sophisticated composition and unsurpassed material quality. 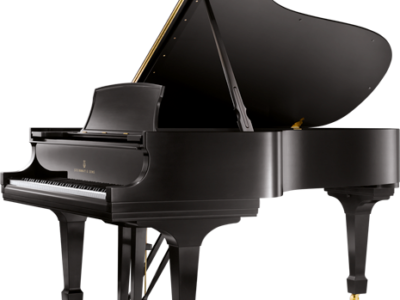 Be the first to review “Steinway Arabesque” Click here to cancel reply.